Victoria Group is the tourist business card of Bulgaria as its significance for the country is huge. 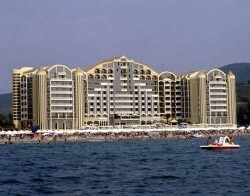 The holding has great achievements in the tourist industry with its five-star and four-star hotels, situated mainly but not only along the Black Sea coast. The hotels of Victoria Group welcome their clients with their modern European style both in the architecture and furniture. The trite and unified design is distant and unfamiliar to Victoria Group.